This week I’ve reluctantly resorted to switching on the heating for a couple of hours each evening. My stupid overly sensitive skin is already feeling a lot drier. I’m aware I haven’t blogged for some time. Finding the enthusiasm to keep a running blog apparently isn’t that easy for me when I am injured and unable to run; again. After spending 9-10 hours a day writing scientific papers, I haven’t really felt like writing what would have inevitably been negative and moany blog posts. You’ve had a lucky escape! My right knee is now feeling 95 per cent fixed. I’m hoping I’ll be back running again this year. Summer 2015 hasn’t all been bad. I’ve decided to be slightly lazy (because I only have 30 minutes to write this post) and to use some social media posts to run through some of the highlights. Back in the middle of August I got to meet up with one of my favourite running bloggers Autumn who blogs over at Tiny Runner. 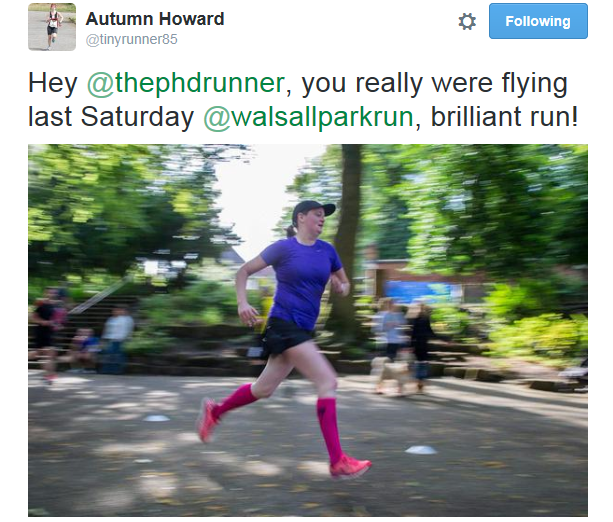 Although I didn’t quite manage to achieve an elusive sub 30 time, Autumn flew around the Walsall Arboretum course, finished as first lady and absolutely destroyed her sub 20 goal. 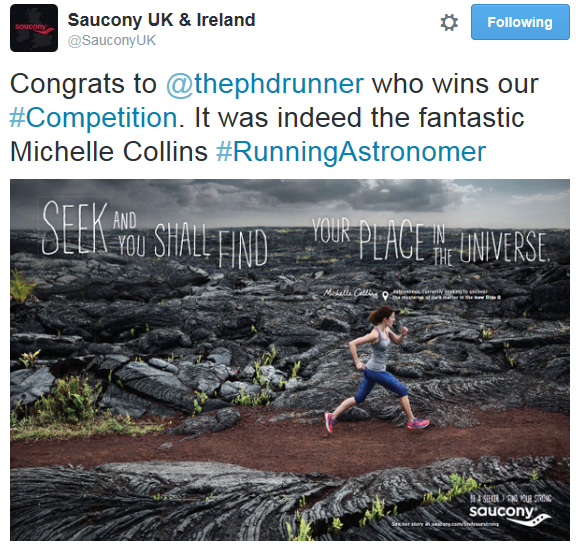 Awesome running! 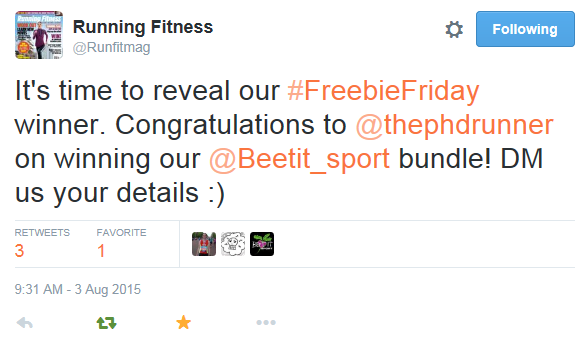 Like everyone else I love a good freebie and I love winning twitter competitions. Although I’m yet to win a pair of Brooks trainers I managed to win two competitions in a day. I’m really looking forward to wearing my Saucony top and to testing out part of the BEET IT bundle. Unfortunately there was a bit of a beetroot explosion in the post. I finally managed to overcome what had become a bit of a personal running nemesis. Cardiac Hill I am no longer so afraid of you. 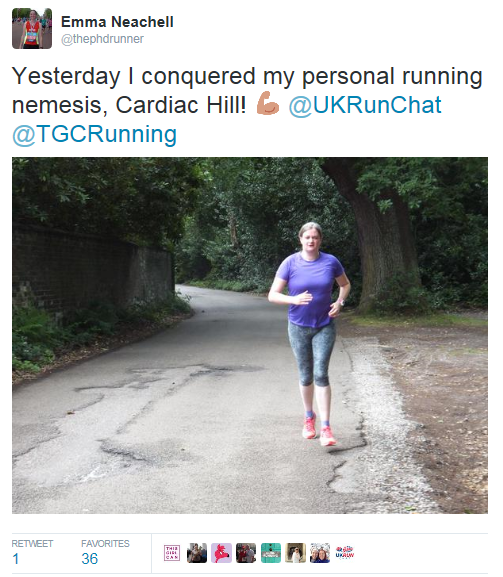 Unfortunately, my niggly knee means that I won’t have the childish pleasure of running down Cardiac Hill again in the near future! …as was arriving at La Crosse airport after a ridiculously short flight the following morning and discovering our suitcases were still sitting in Chicago! Luckily they were delivered to our hotel a few hours later. As a hydrologist and river geek, the location of the conference was perfect. 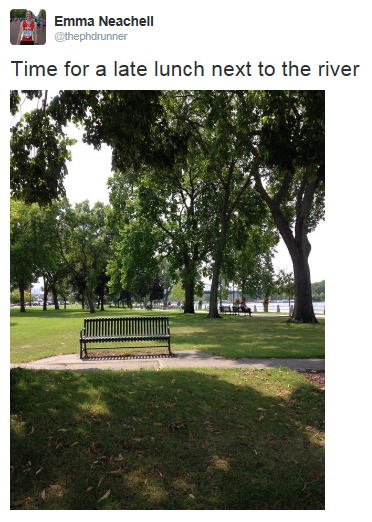 Our hotel overlooked an arm of the River Mississippi and a small riverside park. I tried not to feel too envious of the people running during their lunch break in the park. Had my knee not been so painful I would have definitely done the same. My knee prevented me from participating in the conference baseball game. I packed some running gear, it returned unworn. I’m hoping that I’ll be back running again soon. I’ve been sent some amazing products to review. Unfortunately, due to my nut allergy, I had to turn down the energy bars. I didn’t fancy reviewing my local A&E department. Apologies for the slightly dodgy twitter screenshots. After spending ages trying to directly link to twitter and getting thoroughly irritated, I decided to resort to copy and paste. Thanks! 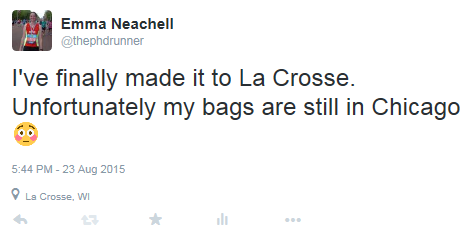 I might share some more La Crosse experiences at some point. There were a few entertaining moments. I need to remember how to share twitter posts properly. I wasted almost an hour getting increasingly frustrated with my inability to use WordPress! I just wish that I’d written about that particular parkrun last month. Unfortunately, I ran out of time (and was too busy feeling sorry for myself) before the conference. Hopefully I’ll be running again in November. I’m thinking of going back to basics with the C25K plan. P.S Martin is very pleased that you like the pic! I’m sure that Martin somehow photo shopped/edited my belly out!